Description and Similar Species: Wingspan 50-62mm. Sexes similar. 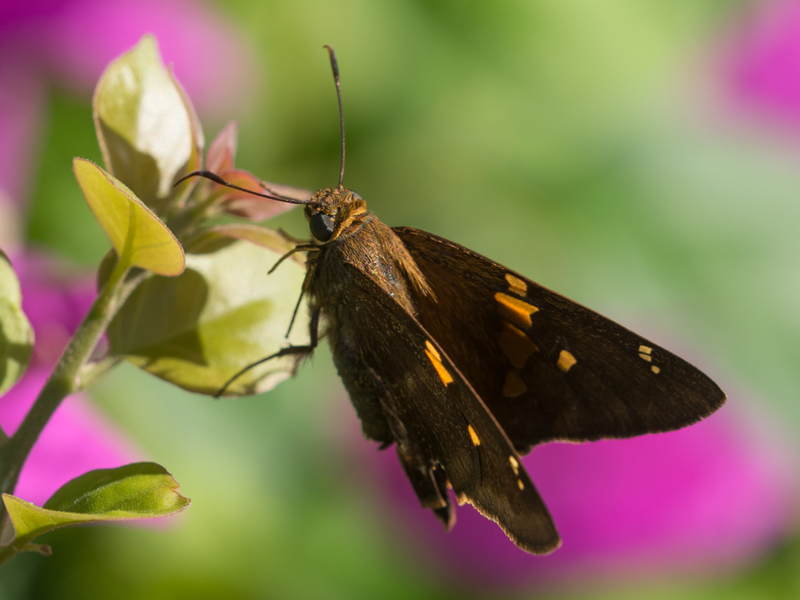 There are two other skippers that have gold spots on the forewing Gold-spotted Aguna Aguna asander and Emerald Aguna Aguna claxon but these both have a broad white bar on the underside hindwing. Range: Found in the West Indies south through Mexico to northern South America. 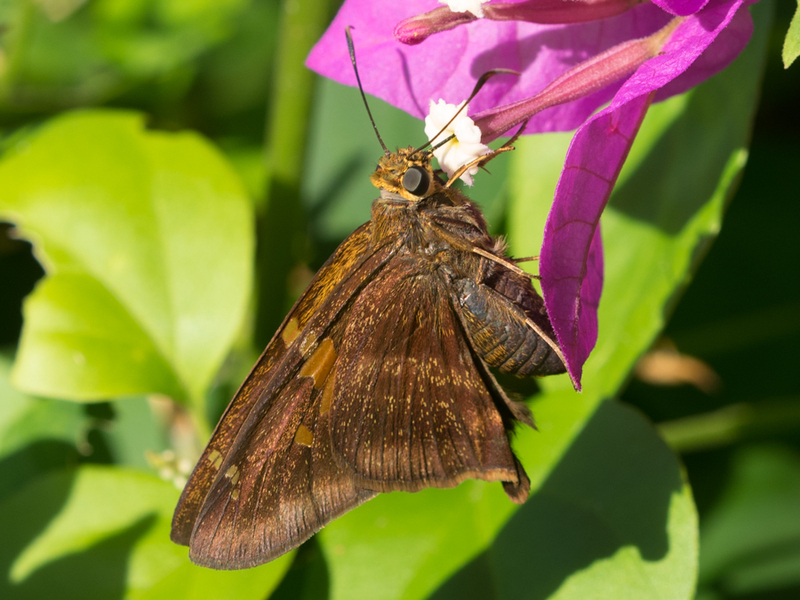 Although once common on the Florida Keys it is now thought to be extinct there. Status: In Cuba it is known only from Cayo Coco, Cayo Santa Maria and at Punta Caguanes which lies on the north coast just to south of Cayo Santa Maria. Nectar Plants: Bougainvillea, Caesalpinia vesicaria and other flowers. Larval Foodplants: Unknown in Cuba but on the mainland it uses Galactia spiciformis Leguminosae (Scott, 1986).